“Expansive” is a word that comes to mind for anyone learning in a well-designed massive open online course (MOOC). It’s a safe assumption that this type of learning fosters an expansive, collaborative community of learning; in #etmooc (the Educational Technology and Media MOOC that Alec Couros and others are currently offering through March 2013), for example, we have more than 1,600 colleagues from a variety of countries. It’s also safe to assume that we’re talking about more than physical geography when we discuss this rhizomatically extensive learning environment—the learning environment that expands as wonderfully, organically, and extensively as the rhizomes that provide the name for the concept: we have the main course website; an archive of the fabulous sessions conducted and recorded via Blackboard Collaborate; blog postings; live tweet chat sessions and an ongoing stream of individual, nonfacilitated tweets; postings in a Google+ community; and an ever-expanding set of virtual meeting places apparently limited only by time and our own imaginations. And it’s becoming more and more apparent that even time is not a critically limiting factor to the development and growth of the learning that a MOOC can nurture. In writing about synchronous and asynchronous meetings recently, I inadvertently appear to have created an example of the very phenomenon I was describing: the idea that a “moment” can be the usual physical manifestation of time that has been so familiar to us throughout our lives, or a more extended period of time in which a moment extends over days, weeks, months, or years as we begin conversations in an online venue like a blog posting and then see that moment of conversation continue asynchronously as additional participants add on to the conversation with new postings that are then seen (and responded to) by those previously engaged in the conversation. The “Synchronous Sessions, Asynchronously: Blending Meetings, Learning, and Digital Literacy” piece that I originally posted on February 20, 2013, has now taken on a life of its own. 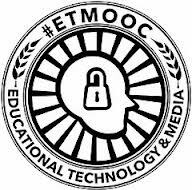 There are exchanges that currently include three other #etmoocMates and a couple of other people who have referenced the piece in their own postings. I have, furthermore, used the course Google+ community to make others aware of the conversation and invited them to expand upon it either via comments attached to the original blog posting or through postings there in the Google+ #etmooc community. We have, as a result of these planned and spontaneous endeavors, managed to do what anyone does with the best learning experiences: we have carried it out into the world beyond the boundaries of class discussions, applied the themes we’re exploring to non-course settings, and then brought them back into the context of course discussions to see how much they have transformed the perceptions we carried into the course—and transformed us! The latest expansive moment within that greater #etmooc conversational moment came for me late last week. As I explained to my MOOCmates via an addition to our blog-based in-the-moment conversation, I was sitting with Herman Rodriguez, a Colombian-born friend who owns Stelline restaurant here in San Francisco and is also a working artist—someone who paints wonderfully timeless landscapes in watercolor and oil. He was describing the difficulty he has in responding to requests for an artist’s statement about why he doesn’t put completion dates on his paintings: the works, for him, are as much a product of that immediately calendar-driven date as they are part of a much larger process where a moment can extend over periods of days, weeks, or months, and he wants the paintings to reflect that feeling viscerally. Something significant is clearly happening here within the context of members of an ever-expanding community of learners interacting. Since #etmooc as a connectivist MOOC is, by definition, an attempt to create community, it makes sense that our community would rhizomatically expand from blog to face-to-face conversations to postings on other social networking sites and even expand from one person’s blog to another—and ultimately include an artist not previously connected to the course. We’re creating a magnificent digital jigsaw puzzle where the individual pieces each have their own unique and appealing beauty while revealing greater aspects of beauty whenever we manage to connect them to other pieces of that same puzzle. It may be that this particular conversation will eventually die a natural death. Or it may be that it continues spreading, circling back to completely encompass all the creeping rootstalks that encompass this particular learning rhizome. But whatever it does, it certainly will have contributed to a memorable leaning experience. Will serve as an expansion of a vibrant and vital community of learning. And will have kept many of us off the streets for a while as we puzzled over, were drawn into, and were growing in positive ways as a result of our participation in a wonderfully expansive moment of collaboration. N.B. : This is the sixteenth in a series of posts responding to the assignments and explorations fostered through #etmooc. This entry was posted on Tuesday, March 5th, 2013 at 11:11 pm and is filed under e-learning, etmooc, technology. You can follow any responses to this entry through the RSS 2.0 feed. You can leave a response, or trackback from your own site. Really thought-provoking here, Paul: I’m working on wrapping my head around the idea of something existing both in an ephemeral moment as well as being outside of time, beyond it, as well. Not being an artist, I can only try to compare this to my experience with learning in ETMOOC, as that seems to fit best with this sort of apparent paradox. Even then, I have trouble conceptualizing this idea; I do think of my ETMOOC experience being both momentary, in the sense that it takes place in brief moments at times (e.g., when I have a few minutes to check twitter and read a link and then have to get off the tram or something), somewhat more extended moments (when I have a few more minutes in order to read and comment on a blog post), even more extended moments (when I am part of a synchronous session, a twitter chat), and perhaps the longest moments (when I am writing a blog post). But I can’t quite capture the notion of my ETMOOC experience being out of time altogether, somehow beyond it. I should be able to: I’m a philosopher! But I’m struggling. I am really, really enjoying this discussion of time. Missed the Google+ discussion on this somehow, and will try to go find it.